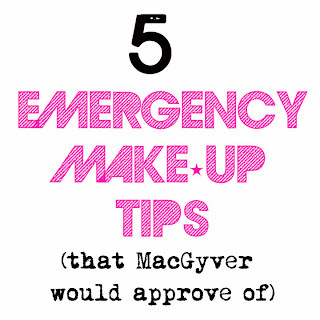 It's just another MAKE-UP MONDAY.... and today I'm dishing it up "MacGyver" style. You know, the guy that could make anything out of a piece of gum and maybe a roll of floss- and BAM, he made an emergency hammock or something! To soak up some oil and add some volume to your hair, reach for some loose powder (even loose face powder, translucent is your best bet), and you can even take a powered brush and swipe in on your root area! Instant lift, instant "oil-be-gone" and you're back in good hair business. 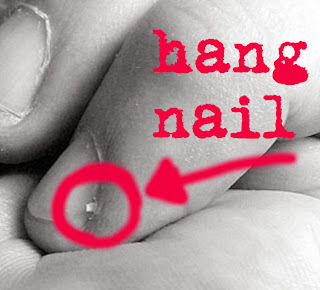 Reach for your lip balm or even olive oil, smear it on your hangnail, and rub it on all your other cuticles while you're at it, for smooth and beautifully moisturized finger tips that will look like you just left a swanky manicure! -I've used my lip balms a million times for this! Orange streaks, blotchy stripes, stained fingers, whatever woe your self-tanner has given you, go get your box of baking soda, a loofah, or some kind of washcloth, mix a paste of baking soda and water and buff the "bad-ness" away. We've all been there, you've packed your bags for a trip, and realized you've forgotten some essential beauty tools. If you are missing your beloved eyelash curler (something I think everyone should own), just take a spoon, you can even blast it with a blow dryer for a couple seconds or run it under warm water, then hold the spoon, curve side, (like it's curving around the roundness of your eyeball), against your lashes for a couple seconds- insta curled lash-eroos! 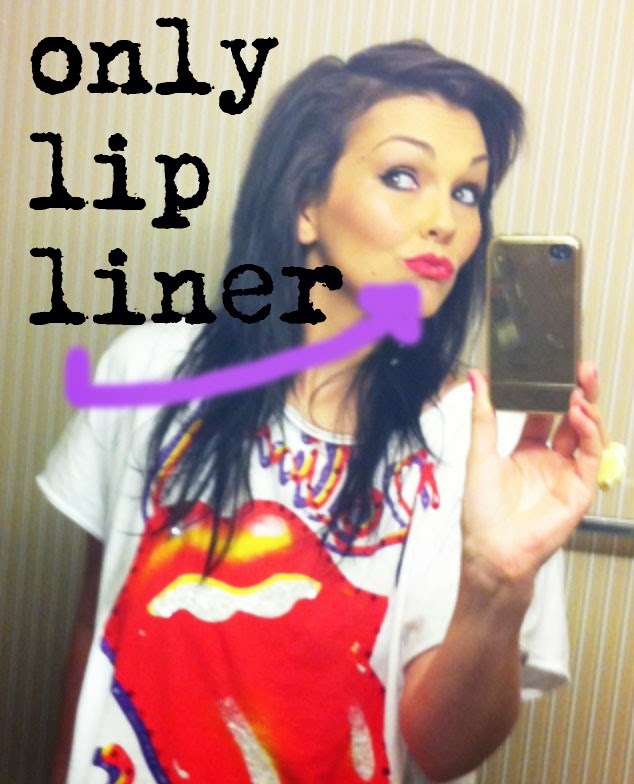 I just use lip pencil to line and fill in my entire lips, which is much more long lasting than lipstick. I alwast get people asking what lipstick I'm wearing and how it stays on so long.....and my secret is: it's just lip liner! 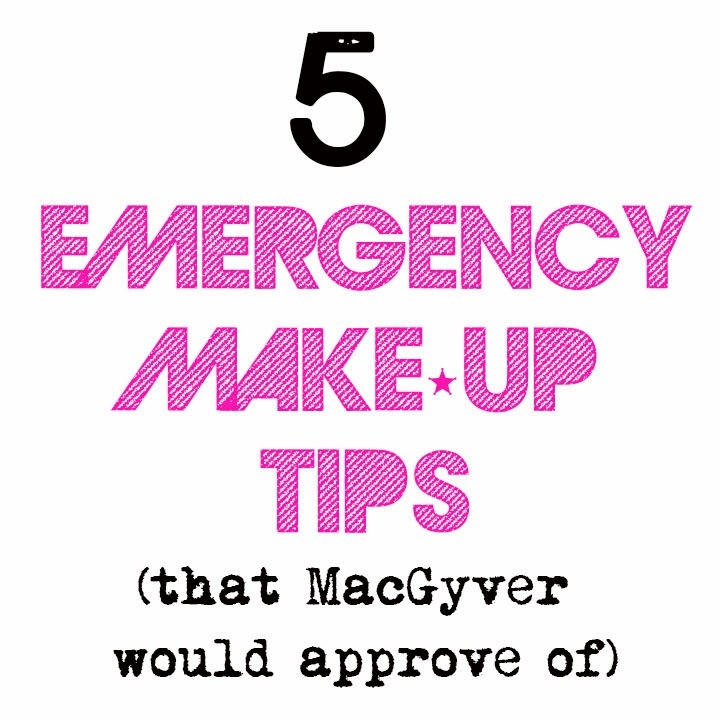 Huge hugs and let me know if you want more of these "Beauty Emergency Tips"! Sometimes what looks like the biggest problem, leads to a solution that makes for greater success! CLICK HERE IF YOU WANNA HANG OUT WITH ME ON YOUTUBE! Ps. I'm editing a new video I filmed over the weekend!